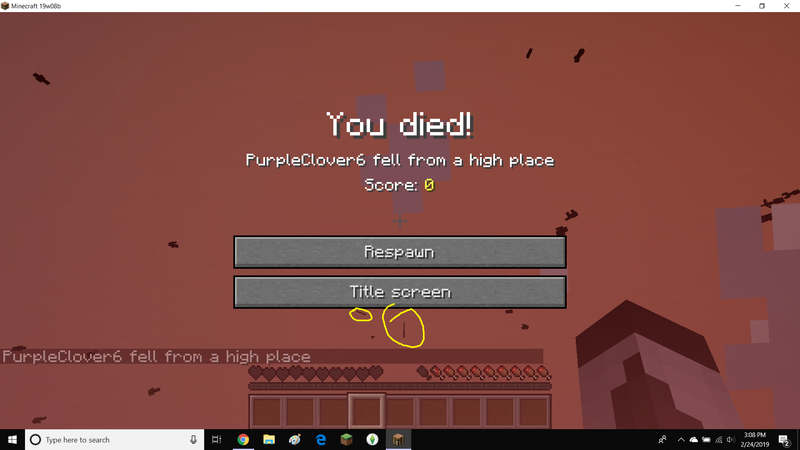 When I die in my survival world, i can see on the "death screen" that my items are falling though the void, the ground appearing as the void, never to be seen again. I go to where I died and the items were gone, no it had not been five minutes so they didn't despawn. Anyone know how to fix this? I've died a couple times on this world and it has happened every time. Attached it an image of what happens when i die i put 2 items in my inventory, in yellow, to show that they fall into the void. I had the same bug. Just reinstall the game ..